Thank you for taking the time to visit our website at www.borgies.com.au. 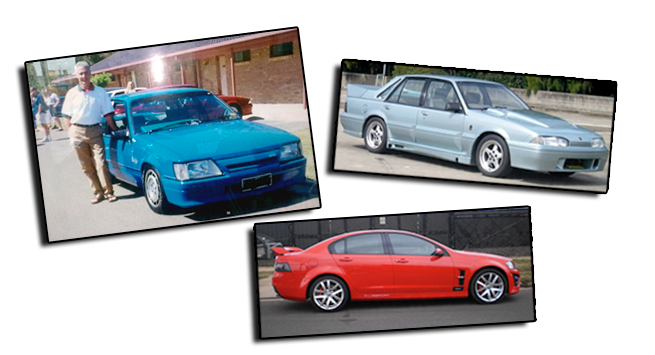 We at Borgies Auto Spares Pty Ltd have been operating for over 20 years and have a large range of commodore parts and knowledge. Borgies Auto Spares offer great services such as providing second hand car parts for HOLDENS VB to VF, ASTRA'S, BARINA and CRUZE. However if by some chance we don't have the part you require we are able to track it down for you just speak to one of our friendly staff members at Borgies Auto Spares Pty Ltd or myself Mario and we will be happy to help. A wide range of NEW car parts are also available at a affordable prices upon request for ALL makes and models for more information on our new parts please contact Rebecca on 03 9743 5000 or simply see our NEW PARTS section for details and specials. Borgies Auto Spares Pty Ltd also sell USED CARS at affordable prices view our used cars section to see what cars we are currently selling. Do you or a friend have a car you are no longer using that's taking up room? Well at Borgies Auto Spares Pty Ltd we pay CASH for cars that are no longer running or needed just give us a call and we will remove it for you. Once again we appreciate you taking the time to view our web site and hope it was what you were looking for and more!